During a travel, there are sometimes places where time seems to be stopped. At Oscar’s, the seconds seems suspended like the bunches of grapes in his garden. The riding day was pretty hard due to Lima crossing. Therefore, when the metallic gates of this pretty house started to open, a fairy tale started. Immediately, Oscar knew how to make us happy. He offered us a welcome Pisco drink and spoke a little bit in French. Then, we had the time to stroll in the vineyard. A nice walk which was the excuse to speak about grape varieties, the work of vine and the production of this nice drink which is the Pisco. This traditional Peruvian alcohol is mainly made in the Ica region in the South of Lima. It’s made by distillation of grapes like brandy or cognac, but without the age if in wooden casks. We’re leaving Oscar and Imperial to head to the Paracas desert. 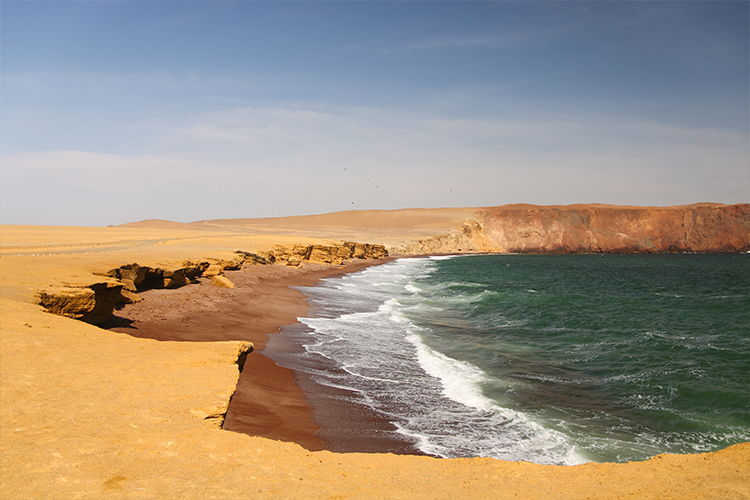 This one is alongside the Pacific Ocean at the South of Pisco, a seaside city. Over a superficy of 3 350 km2, its sandy dunes are playing with the horizon line before to reach the sea from the top of the cliffs height of tens of metres. In the middle of the park, a beach with a bloody red colour stops the continuity of the cliffs. This colour is due to the volcanic activities and the erosion of the red mountains around. A few kilometres further, waves have dug in the rocks which is named today the cathedral of the desert. At the origin, this rock was attached to the cliff with an arch which fell down in 2007 further a earthquake. 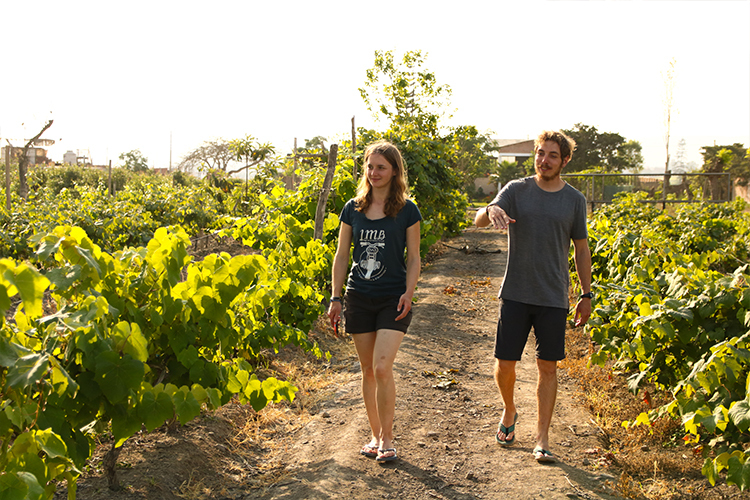 We carry on the road in the vineyards growing as far as we can see between the Pisco farms. 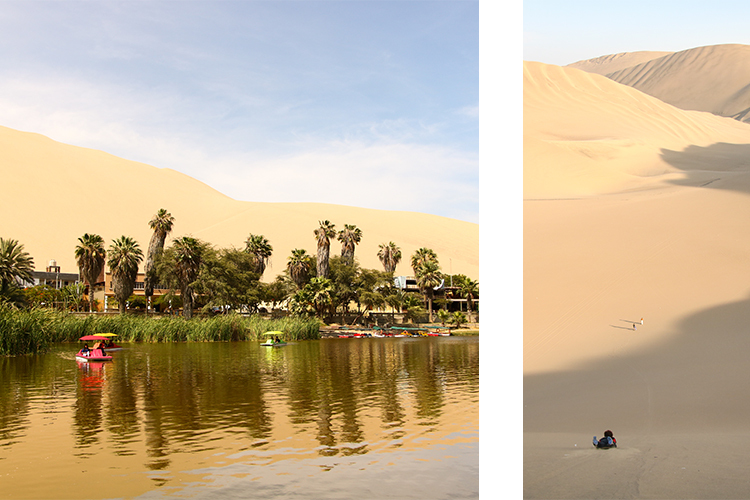 We reach the Huacachina oasis, a little touristic haven around an artificial lake, just few kilometres away from the Ica city. In the oasis, there are many superficial things, but around there are dunes as far as we can see. The local attraction which is a buggy tour in the dunes at the sunset time, is tempting us. In spite of the rubbish in the sand, the view is beautiful and these fire colours are warming up our spirits. Between the photos and the jumps in the dunes with the buggy, we try sandboarding. We are a bit confident with our previous snowboarding experiences in the Alpes. But when they gave us the wooden board with only velcro to attach our feet, we quickly understood that won’t be easy. Indeed, we lied to go down the hill on a very steep hill over tens of metres. After a few sandy hills, we took back our hiking shoes on the Peruvian asphalte towards Ayacucho. New landscape, we are back in the mountains. The loops are making the altimeter crazy as it’s indicating quickly 2 000 metres. The mountains offers beautiful colours and we have a little breeze until Ayacucho. This city, with an exotic name, kept its colonial architecture in the historic town centre. It’s also famous for its 37 churches. We are enjoying strolling in the streets with a homemade ice cream in one hand. These ice creams are made from milk by the farmers of the surrounded mountains. They sell their milk prepared with cinnamon and coconut before to freeze it in a big saucepan over a bowl full of ice cubes. 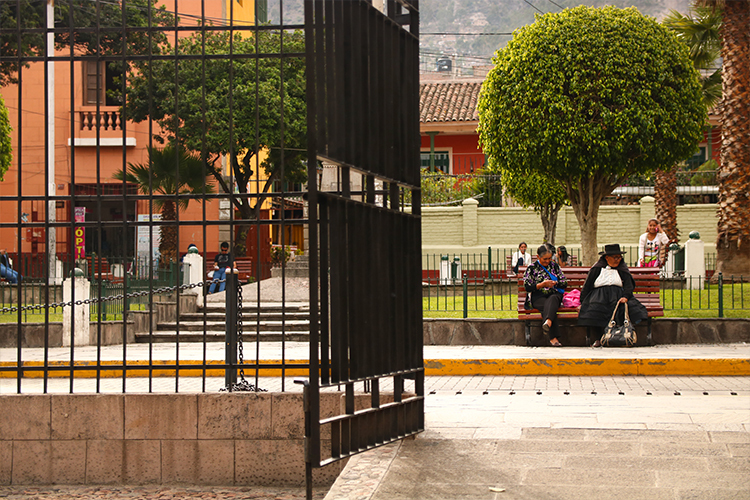 We leave Ayacucho behind us and are going towards the discovery of Cusco and the Sacred Valley of Incas. Going out of the borough of Lima, towards Pisco. La Viña de Oscar offers us the possibility to rest in its nice garden and to enjoy the tranquility of the place. Oscar will know how to welcome you and will enjoy telling you about his passion for the wine and grapes. After a rainy day, we allowed ourselves a small snack in a tea room on the main square of the city. After climbing up the stairs to go in the room, we find a cosy room with pretty Christmas decorations. 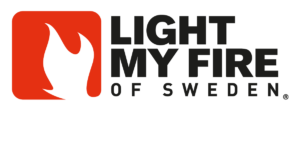 For the first time during this month of December, we are feeling this warm atmosphere of this festive season while it’s raining heavily outside. The cherry on the cake? Slices of cakes, teas and coffees are delicious!